Is It Possible to Eat Cheap and Healthy? 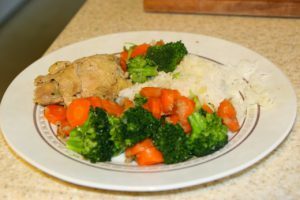 We have all heard that eating foods cooked from home are healthier for us. However, it can be easy to grab that quick “pre-made” boxed meal at the store or run through the drive-thru and order off the dollar menu. Often we try to justify doing this because we think it is cheaper and maybe not so bad for our bodies. 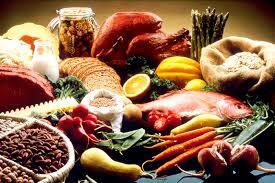 Many people believe it is more expensive to eat healthy foods. Hopefully I can help shed some light on how you can eat healthier without breaking the bank to do it. First, let’s discuss what a healthy food is and what it is not. Simply stated, healthy foods give the body the nutrients you need, like protein, carbohydrates, fats, vitamins, and minerals. Eating foods that have a lot of nutrients in them are called “nutrient-dense foods.” Nutrient-dense foods include vegetables, fruit, meats, beans, nuts, and whole grains. These foods have not been highly processed or refined, leaving their nutrients in tact. They are typically lower in calories and many are high in fiber, which help you fill up with less calories. On the other hand, there are many foods that have a lot of calories. These often do not give the body a lot of nutrients and takes a lot more of these food to fill you up. These are processed foods sold in the grocery stores or restaurants. Processed foods have nutrients and fiber removed, as well as have additives like preservatives, salt, sugar, and trans fats. These foods contribute to over eating, weight gain, inflammation, heart disease, and diabetes. Next, we will look at how to properly determine the cost of food and what is a good deal. Often times we think a “good deal” means getting a lot of food for our money. Although you can get a high calorie meal for little money off the dollar menu, are you getting a nutritious meal for your money? Probably not. Also, many of those high calorie foods don’t keep us feeling full for very long, which can lead to overeating. Instead of looking at price/calorie for a good deal, try to think of price/nutrient as a better deal for your health. 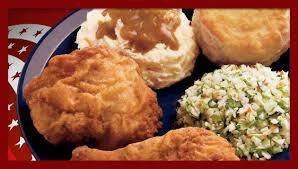 The KFC meal only feeds one person, but provides an entire day’s worth of calories. And the sodium! We should only get 2300 mg of sodium for an entire day, while KFC’s one meal provides 3500 mg of sodium! With a little planning and preparation, you can have a meal on the table in about the same time and effort it takes to travel to a restaurant, wait in line to order, pay for your food, wait for your food to be ready, and then drive back home. I challenge you to start cooking at home more. It really can save you money, calories, and time.